This species originated in tropical South America (i.e. north-eastern Brazil, French Guiana, Guyana, Surinam and Venezuela). This species has been widely cultivated as an ornamental plant, often being grown in garden ponds and water features. It can occasionally still be seen in cultivation. 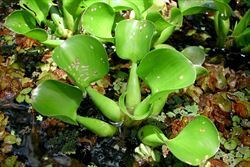 Very widely naturalised in Australia, being found in large and small water bodies throughout most of the coastal and sub-coastal regions of the country. It is particularly common in the eastern parts of Queensland and New South Wales. Also found in Victoria, Western Australia, the Northern Territory, South Australia and on Norfolk Island. Widely naturalised in the warmer regions of the world (i.e. in Africa, southern Asia, the USA and many Pacific and Indian Ocean islands). A serious pest of tropical, sub-tropical and occasionally also warmer temperate water bodies. Found in dams, ponds, lakes, lagoons, irrigation channels and slow-moving waterways (often especially abundant when there are high levels of available nutrients in the water). A free-floating, long-lived (i.e. 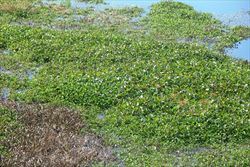 perennial), freshwater aquatic plant forming dense clumps of vegetation on the water surface. It usually grows 30-65 cm tall but occasionally reaches up to 1 m in height. 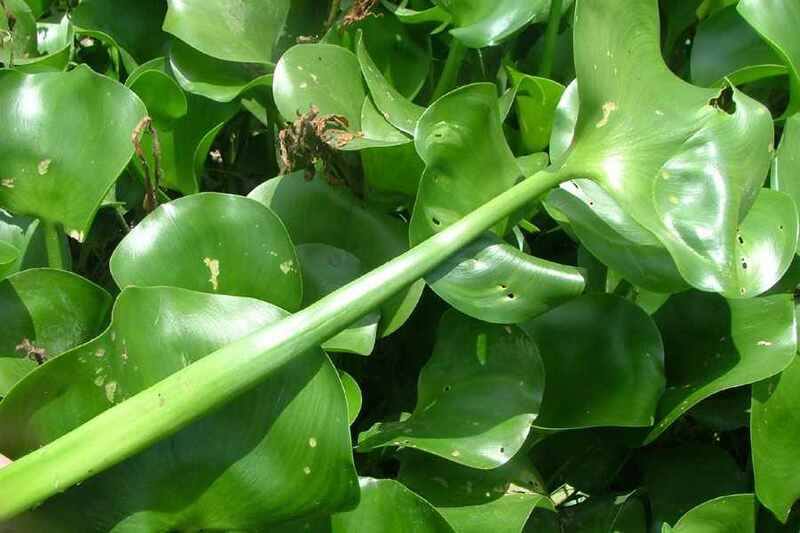 a very distinctive free-floating plant that produces runners across the water surface which give rise to new plants. 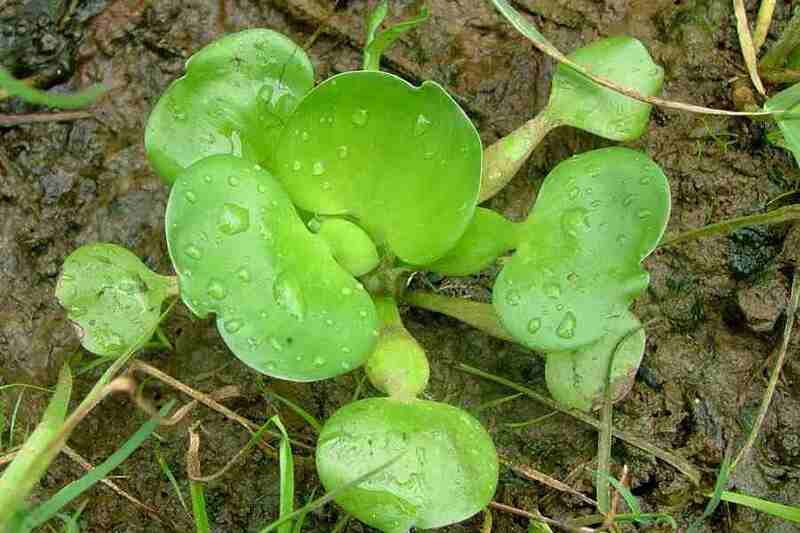 it develops rosettes of buoyant glossy leaves that usually have inflated leaf stalks and oval to rounded leaf blades. its showy purple to mauve flowers (4-6 cm long and 3.5-5 cm wide) are borne in spikes at the top of upright flowering stems. these flowers have six broad 'petals', the uppermost of which has a large yellow spot. 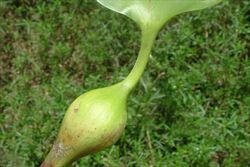 its fruiting capsules (10-15 mm long) release their seeds below the water surface. Stems may be in the form of short runners (i.e. stolons) or upright (i.e. erect) flowering stems (up to 60 cm or more tall). The runners (about 10 cm long) are produced across the water surface and give rise to new plants. These stems are hairless (i.e. glabrous), but dark coloured feather-like roots (2-100 cm long) are produced off the runners (i.e. stolons). Plants generally produce leaves in basal clusters (i.e. rosettes). The leaf stalks (i.e. petioles) vary from being short, inflated, and spongy to being long and relatively slender (3-60 cm long). 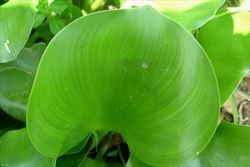 The leaf blades (2-25 cm long and 2-15 cm wide) range from being oval (i.e. elliptical) to egg-shaped in outline (i.e. ovate) or almost rounded (i.e. orbicular) in shape. They are hairless (i.e. glabrous) and glossy in appearance, with almost parallel veins following their outline. 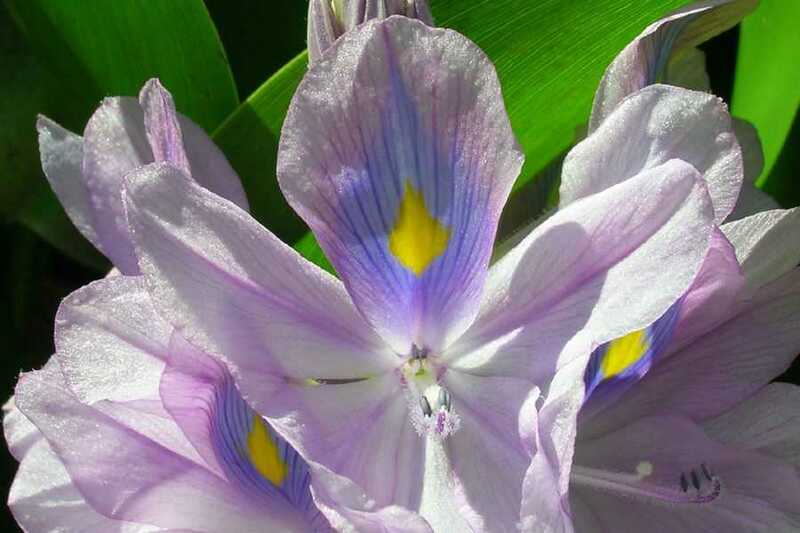 The showy flowers (4-6 cm long and 3.5-5 cm wide) have six 'petals' (actually three petal-like sepals and three petals) that are fused at their bases into a short tube (1-2 cm long). 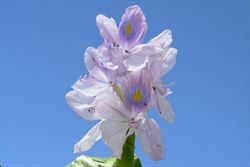 They are purple, bluish or mauve (rarely white) in colour and the 'petal' lobes are 2-4 cm long. The uppermost of these 'petal' lobes has a yellow spot surrounded by a darker blue or purplish area. The flowers are arranged along an upright (i.e. erect) spike up to 15 cm long (containing 3-35, but normally 5-20, flowers). There are also two green bracts at the base of each flower (that resemble sepals) and they have six stamens. Flowering occurs during summer and autumn in cooler climates, and from summer through to winter in warmer regions. The fruit are capsules (10-15 mm long) with three compartments and contain up to 300 seeds. 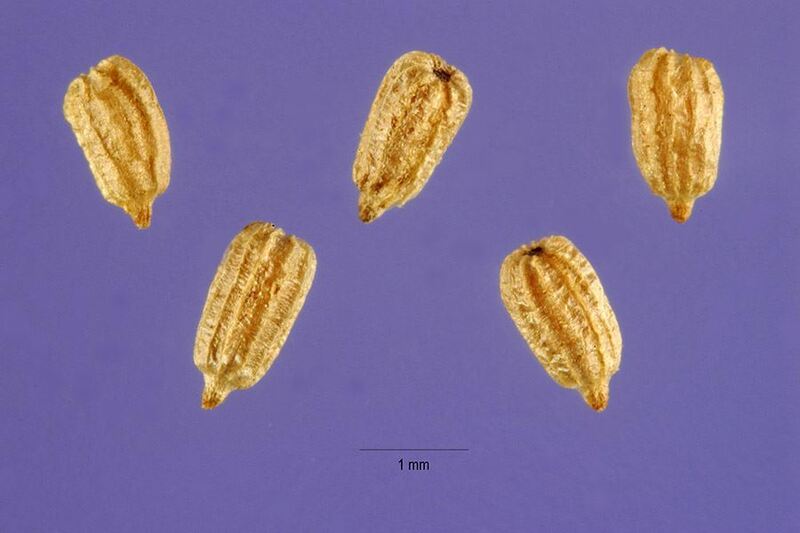 The seeds (0.5-1.5 mm long) are egg-shaped (i.e. ovoid) and ribbed lengthwise (i.e. longitudinally). When all the flowers on a flower spike have withered, the stalk gradually bends into the water and after about three weeks the seeds are released from the mature capsules. This plant reproduces vegetatively via runners (i.e. stolons) and also via seed. Stem fragments (i.e. stolons) and seeds are most commonly dispersed by water movement and are often introduced to new areas in dumped garden or aquarium waste. They may also by spread by boats and the wind (i.e. the leaves may act as sails). 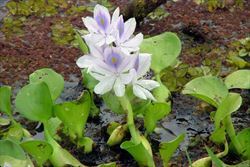 Water hyacinth (Eichhornia crassipes) is regarded as a significant environmental weed in the Northern Territory, Western Australia, Queensland, New South Wales and the ACT. It is also regarded as an environmental weed in South Australia and Victoria. This species is one of the most invasive plants in the world, being listed in the Global Invasive Species Database among the top 100 of the world’s worst invasive alien species, and it is the most serious weed in many tropical, sub-tropical and warmer temperate freshwater habitats worldwide. 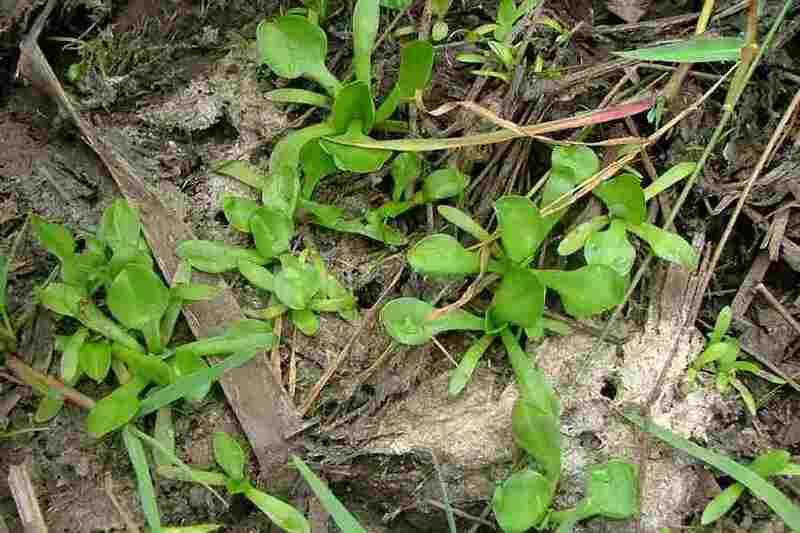 It was recently also listed as a priority environmental weed in two Natural Resource Management regions in Australia, even though a successful biological control program has significantly reduced its impact in this country. 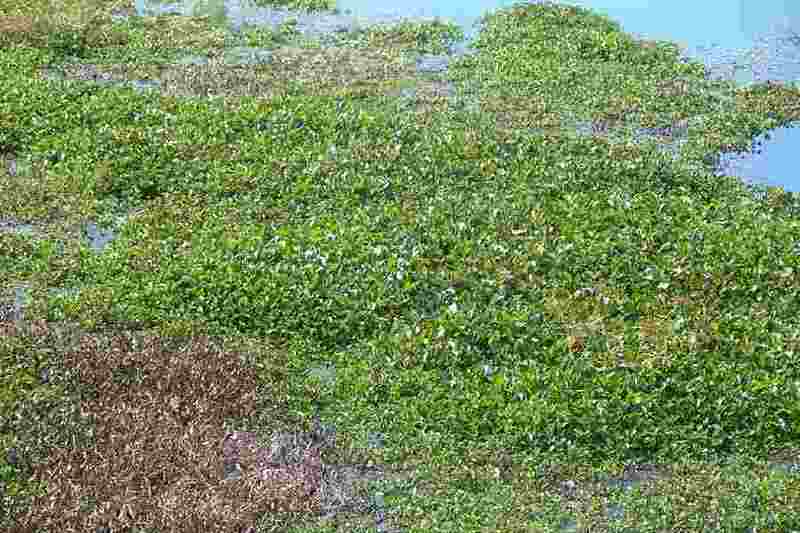 The free-floating nature of water hyacinth (Eichhornia crassipes) means that it can quickly and easily spread throughout an aquatic ecosystem. 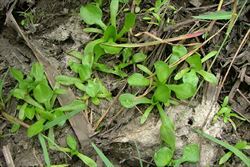 Its high seed production and its ability to reproduce vegetatively at a rapid rate is vital to its success as a weed, and in good conditions it is capable of doubling its population in less than ten days. Dense carpets of this species can alter the ecology of the infested area as native plants, birds and fish are killed or displaced. In slow-moving and still waterbodies it is especially problematic as the dense monospecific mats of vegetation lower dissolved oxygen levels in the water, shade out native submersed plant species, alter river hydrology and increase organic sediment. 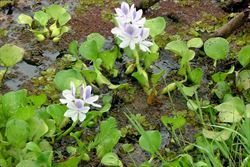 Despite the significant effect of biocontrol agents, water hyacinth (Eichhornia crassipes) is still a significant environmental weed in northern and eastern Australia. 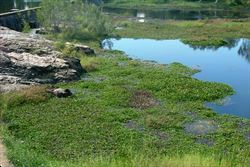 For example, it was recently ranked among the top 20 most invasive plant species in the south-eastern Queensland region. It also causes significant problems in the southern parts of Australia, where growth is less vigorous but biocontrol agents are also less effective. 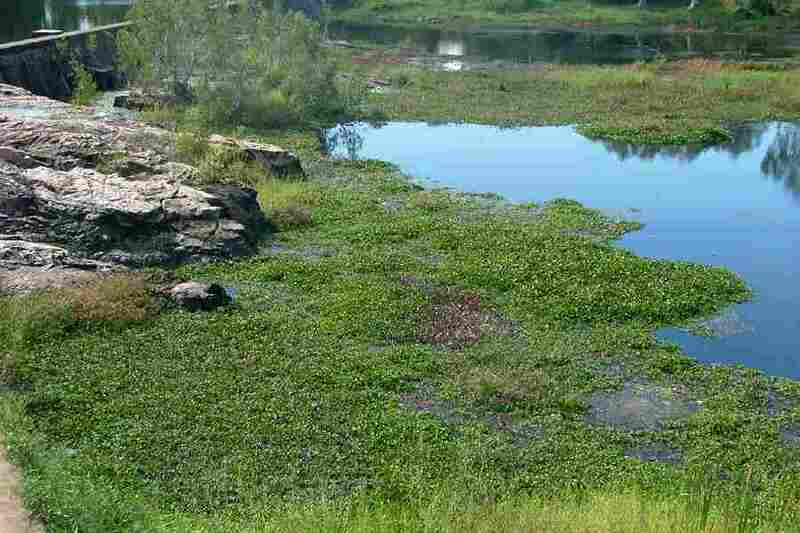 For example, water hyacinth (Eichhornia crassipes) is a rampant weed of open water in the Gwydir Wetlands in inland New South Wales, and quickly spreads in areas that are inundated for long periods. Dense populations of this species may interfere with the use of waterways and waterbodies for cultural, social or commercial purposes causing substantial economic losses and putting livelihoods at risk (particularly in third-world countries). It can make the passage of boats difficult, choke irrigation channels, pollute water, halt fishing activities, clog pumping equipment, impede hydroelectric operations and provide a breeding grounds for disease-carrying insects (e.g. mosquitoes). The natural beauty of infested areas is also degraded, particularly when the plants die off. 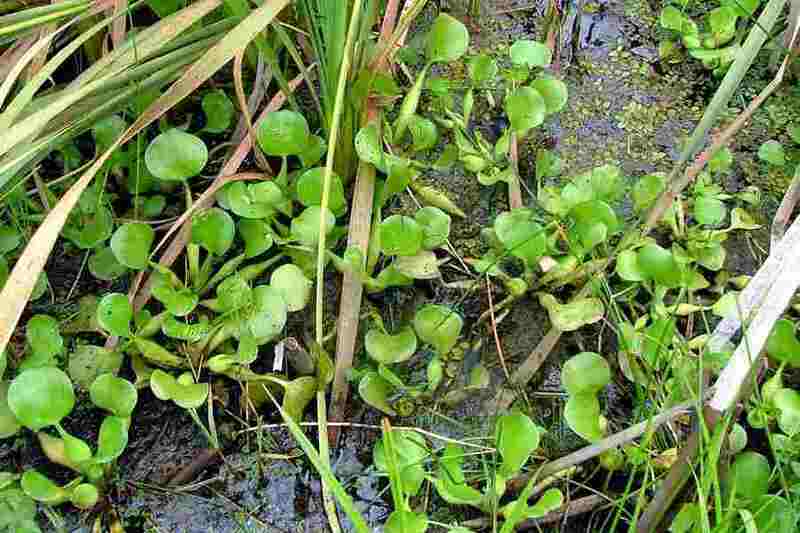 It is also a weed of ponded crops (i.e. rice paddies) and can significantly increase the water loss from water storage facilities through increased transpiration. 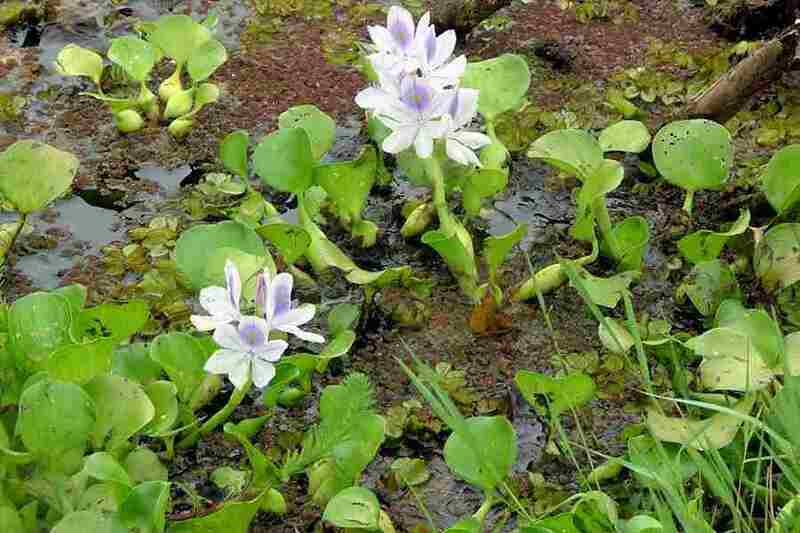 For example, it has been estimated that 3.5 billion cubic metres of water are lost each year in Egypt as a result of transpiration caused by infestations of water hyacinth (Eichhornia crassipes) on dams. ACT: C4 - prohibited pest plant (a pest plant whose propagation and supply is prohibited). New South Wales: Class 2 - a regionally prohibited weed. The presence of the weed must be notified to the local control authority and it must be eradicated from the land and the land must be kept free of the plant (in a large number of coastal local authority areas), Class 3 - a regionally controlled weed. The relevant local control authority must be promptly notified of the presence of this weed and it must be fully and continuously suppressed and destroyed (in a large number of local authority areas), and Class 4 - a locally controlled weed. The growth and spread of this species must be controlled according to the measures specified in a management plan published by the local control authority and the plant may not be sold, propagated or knowingly distributed (in a large number of coastal local authority areas). See the New South Wales Department of Primary Industries Noxious Weeds List at http://www.dpi.nsw.gov.au for more detailed information on which local areas are covered in these declarations. Northern Territory: A - to be eradicated (throughout all of the Territory), and C - not to be introduced into the Territory. Queensland: Class 2 - landowners must take all reasonable steps to keep land free of this species (throughout the entire state). It is also illegal to sell a declared plant or its seed in this state. 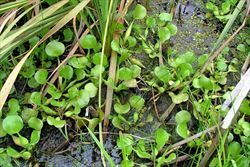 South Australia: 1@ - this species is declared in Class 1a and is a prohibited aquatic weed. Its presence must be notified and the plant must be destroyed (throughout the entire state). Tasmania: D - the importation or sale of this species is prohibited and measures to reduce its population in an area, eradicate it from an area, or restrict it to a particular area may be required. Victoria: S - prohibited and is to be eradicated from the state if possible. Western Australia: P1 - trade, sale or movement into the state prevented, and P2 - to be eradicated (throughout the entire state). the Biosecurity Queensland Fact Sheet on this species, which is available online at http://www.dpi.qld.gov.au. 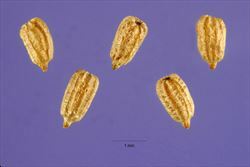 the New South Wales Department of Primary Industries Agfact on this species, which is available online at http://www.dpi.nsw.gov.au. the Victorian Department of Primary Industries Pest Plant Note on this species, which is available online at http://www.dpi.vic.gov.au. the Northern Territory Department of Natural Resources, Environment and The Arts Agnote on this species, which is available online at http://www.nt.gov.au/weeds. 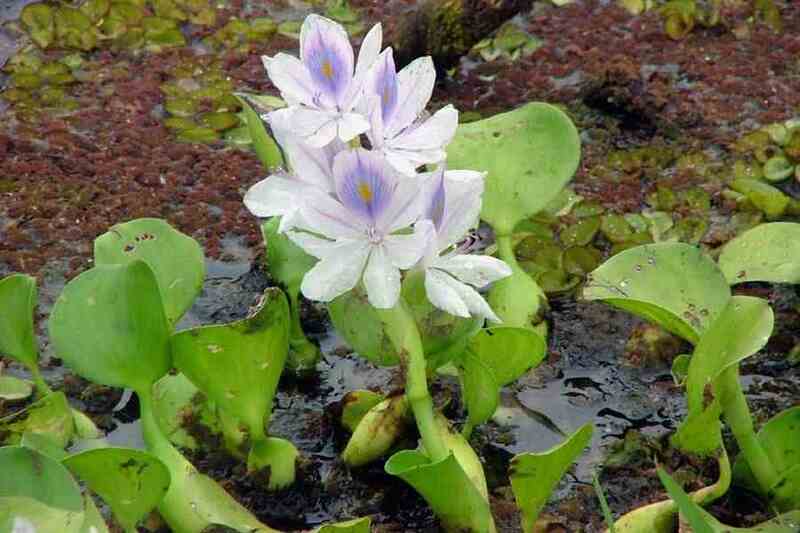 water hyacinth (Eichhornia crassipes) is usually a free-floating plant with leaves on or above the water surface. These leaves have a thickened, spongy, stalk (i.e. petiole) and a broad leaf blade with entire margins. Its very showy flowers (4-6 cm across) are blue, purplish or mauve in colour (with a yellowish spot). monochoria (Monochoria cyanea) is rooted to the substrate with leaves above and below the water surface. 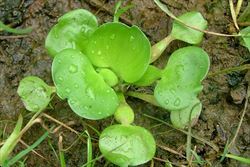 These leaves usually have a slightly thickened, fleshy, stalk (i.e. petiole) and a broad leaf blade with entire margins. Its relatively showy flowers (2-4 cm across) are usually dark blue in colour. 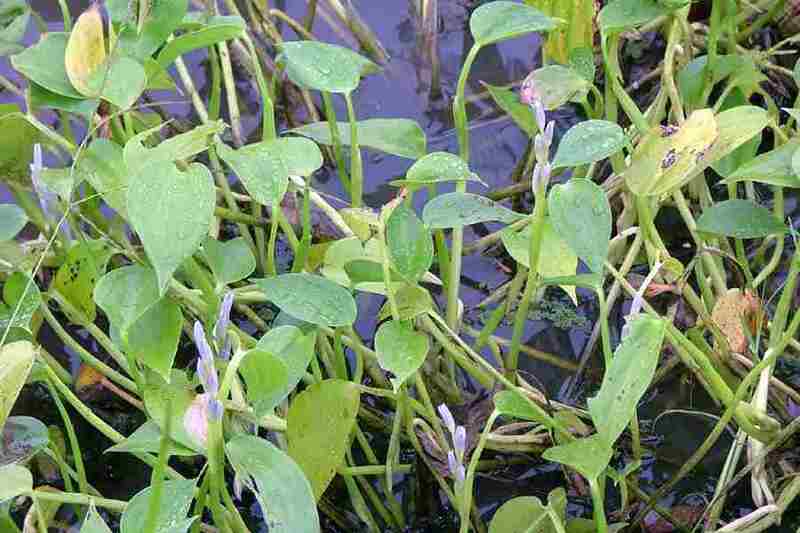 pickerel weed (Pontederia cordata) is rooted to the substrate with leaves above and below the water surface. These leaves are borne on long stalks (i.e. petioles) and have a broad to elongated leaf blade with entire margins. Its relatively small flowers (about 2 cm across) are usually blue to violet in colour, occasionally white, (with two yellowish spots). 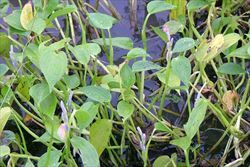 Water hyacinth (Eichhornia crassipes) is also slightly similar to water lettuce (Pistia stratiotes) when not in flower, but water lettuce (Pistia stratiotes) can be distinguished by the covering of soft velvety hairs on its leaves.